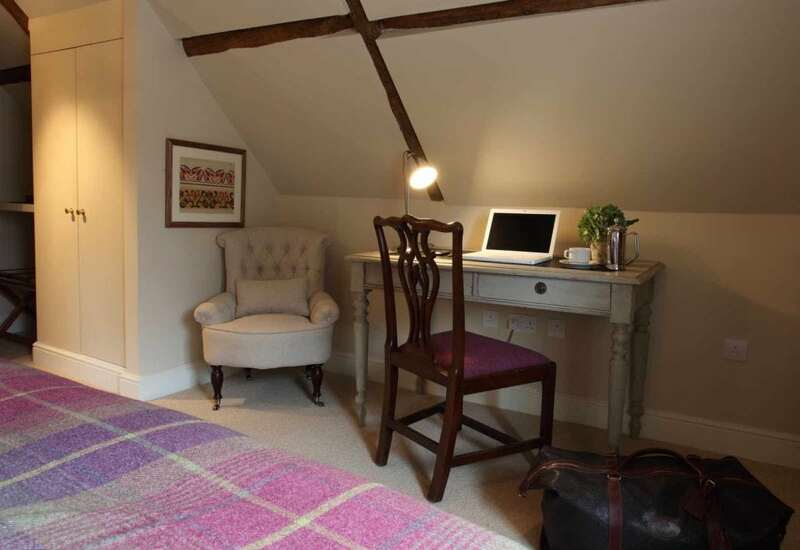 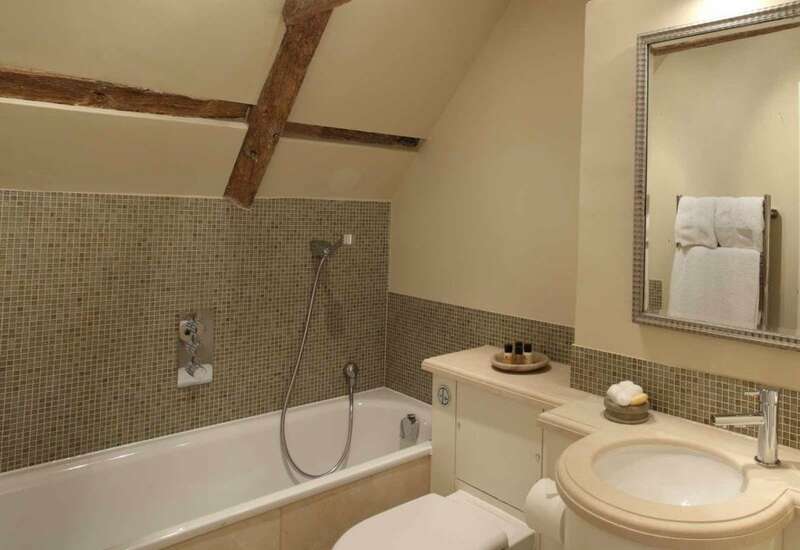 This second floor attic room has an en-suite bathroom including bath. 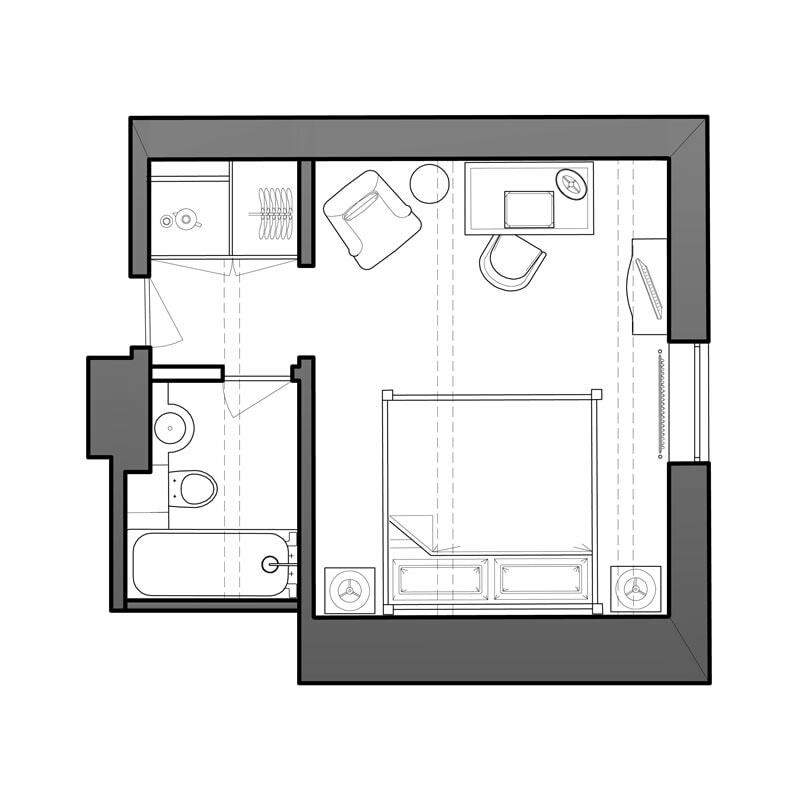 It is a front facing room, bringing an abundance of sunlight into the space. 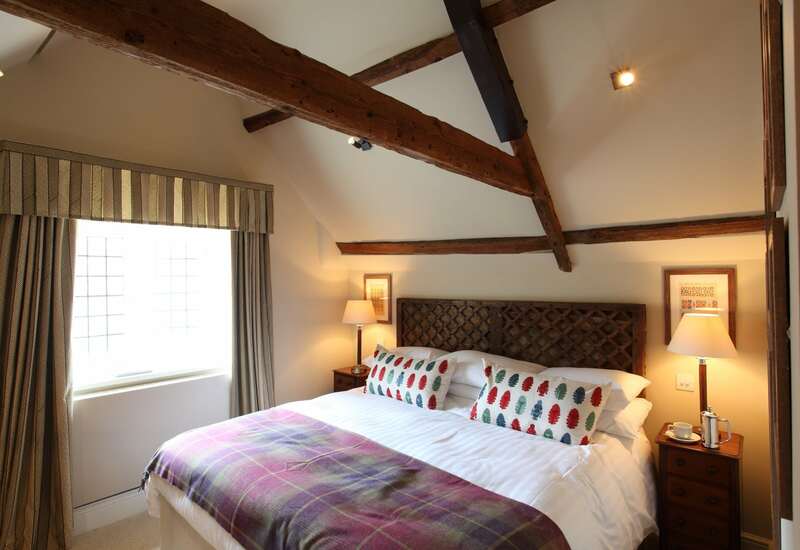 This room also features a king size bed, beautiful beams and vaulted ceilings.